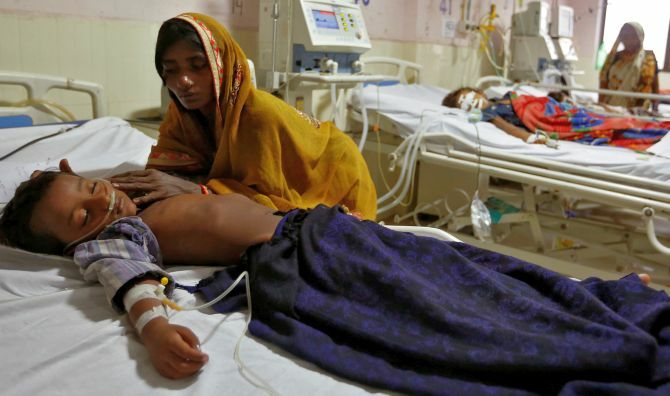 The National Health Protection Scheme -- the Narendra Damodardas Modi-led government's ambitious health insurance programme, also known as Ayushman Bharat or 'Modicare' that plans to offer secondary and tertiary care hospitalisation benefits of over Rs 500,000 to over 100 million poorest families in India -- is likely to be implemented on or on the eve of this Independence Day. Dr Avinasi Kandasamy Ravikumar, national coordinator, insurance, at the Indian Medical Association -- which is described as 'a national voluntary organisation of doctors of modern scientific system of medicine in India, which looks after the interest of doctors as well as the well being of the community at large -- explains to Rediff.com's Prasanna D Zore why the cost of treating a patient under Ayushman Bharat will punish patients by making them travel longer distances to obtain healthcare and kill smaller and medium-sized hospitals that will be empanelled under this scheme. What's wrong with the National Health Protection Scheme, NHPS, as it stands today? The NHPS in itself is a very good scheme. Nobody denies that. The scheme is good for the public and the country. But they (the government) should understand the basic aspects (of medical costs in India). The ultimate thing (link in the chain) are the hospitals (that will be empanelled) that are likely to offer these services to the public. Naturally, they must be comfortable in delivering the goods. If they are not comfortable doing this the scheme, (Ayushman Bharat) is going to be paralysed. For them (the empanelled hospitals that will offer medical services) to be comfortable we have done a scientific study (of costs involved in various operations/procedures). Without proper scientific data it makes no sense to arrive at the cost of a medical service. And the package (cost) that the government has arrived at is not scientific. For example, we have done a study for 50-bed hospitals as per the norms (that satisfy the government-mandated medical services quality) given by the government. We have strictly followed the norms laid down by the government to reach at what should be the cost of various operations/procedures. We have followed the standard requirements under the Clinical Establishment Act -- Standards for Hospitals; guidelines on standardisation of health insurance by the Insurance Regulatory and Development Authority; minimum wages under the Minimum Wages Act, 1948; and the Standard Clinical Pathway suggested by medical professionals. These Acts deal with the area of the room in which a patient is admitted, the standard of equipment inside the operation theatre, and various other technical aspects of medical service. While calculating our package costs we have considered every norm the government wants hospitals to follow in great detail. As per this scientific study, the minimum bed charge for a 50-bed hospital, with 50 per cent occupancy and without any profit margin or consultation charges for the hospital comes to about Rs 4,905 per day, per bed in a tier II city. 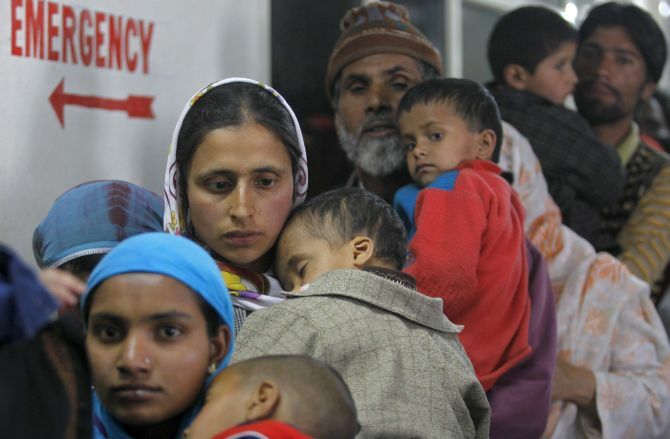 Under this situation, if they (the government) ask us to conduct a caesarean operation for Rs 9,000 (as per the draft of the government's model tender document), which includes a patient's blood investigations, stay in the hospital for five to seven days, bed charges, surgery charges, paediatrician charges, etc then is it practically possible for any hospital (that empanels to offer medical services under the NHPS) to survive? If the room charges alone amount to Rs 4,905, how can you expect us to do a procedure, including all the related expenses? Then is it scientific (to fix Rs 9,000 for a caesarean operation)? Rates have been fixed for all the procedures in a similar manner. The basic question is: Is it practically possible? The other part is that this scheme is meant to cover the lower socio-economic group of people, which is about 45 per cent of the Indian population. All the medium hospitals in India concentrate on this group of people. So, if the government is going to undercut the cost of procedures, then it will be very difficult for these medium-sized hospitals to manage their operations and survive. Even corporate and bigger hospitals cannot do that (offer medical procedures at such huge cut in cost of operation); the big corporate hospitals, for instance, could even manage by cross-subsidising patients who pay under the NHPS, but the smaller and medium-sized hospitals will be wiped out under the cost burden. How can these smaller and medium hospitals subsidise when they get fewer patients who pay the standard cost of procedures? What, according to you, should the government do to ensure that Ayushman Bharat is a success? The government must ensure that the service providers (hospitals) are made to feel comfortable by mandating a comfortable package rate. The scheme will be very successful only if empanelled hospitals are comfortable delivering the goods under the NHPS. According to your scientific study what cost of the procedures/operations stated above could make the service providers feel comfortable? Let me just give you one illustration: For a caesarean operation, the scientific cost derived at by us after following all the government mandated norms comes out to Rs 57,515. This includes: Pharmacy cost (Rs 7,619), consumable cost (Rs 1,228), investigation cost with details (Rs 2,610), doctors and nurses’ fees (Rs 15,000), other employees’ cost (Rs 11,061), accommodation cost (Rs 9,572), medical equipment usage cost (Rs 5,348), maintenance cost (Rs 1,098), and administrative cost (Rs 3,979). In this case then, will Ayushman Bharat achieve the goals it has set out for itself? It's just not possible! Unless the service providers are comfortable and they extend their hands, the programme will be a failure. Who will be the biggest gainers and losers of the Ayushman Bharat scheme? If they (the government) are going to route the payments through the insurance companies, then these companies will be making nearly 30 per cent of the money. For instance, if the government is paying Rs 100, then Rs 30 will go to these insurance companies to cover their cost of operations. Only Rs 70 will be available for other expenditure that will be incurred by the hospitals. As far as the Indian Medical Association is concerned, we feel the government should take the 'trust' model -- to route payments to the hospitals through a government trust -- instead of the insurance companies. Insurance companies are like middlemen. Naturally any business intermediary is in it to make money. We don't want that to happen so that this money (Rs 30 out of every Rs 100 that will go to the insurance companies) can be diverted for the benefit of the patient through the service providers. Definitely, the biggest gainers would be the insurance companies and hospitals/service providers will be the biggest losers. Is the IMA renegotiating the package costs for various procedures with the government? We are. We have met twice with the the CEO (Indu) Bhushan of the Ayushman Bharat scheme and Dr Vinod Pal, member, NITI Aayog. While they showed great understanding towards what the IMA is proposing they want the scheme to be implemented even while maintaining a status quo on the IMA proposal (to increase the cost of various packages). They said they will study the scientific costing that the IMA study has derived for various packages in the next one-two years, but till then they would want the Ayushman Bharat scheme to be rolled out. Extending our hands we have said we will begin the process of empanelling the doctors and hospitals under the NHPS, as we cater to the last mile, that is the people across India, but the ultimate thing that will make or break the scheme is the comfort of the hospitals. If we become hungry (get affected because of the government-mandated costs of various procedures that sharply undercuts the actual cost of medical services), then how can we treat the public? What happens to the rollout of NHPS in the situation that the hospitals are not comfortable with the government-mandated cost packages and the government wants to implement the scheme immediately? Hospitals will not sign up for the empanelment. If they don't empanel themselves, then where will the patients go for their treatment? Patients under the NHPS have to go only to empanelled hospitals. So, the future of the NHPS is not certain under the given situation? The future of the scheme is bright provided the rates (cost of various medical packages) are comfortable. What the IMA is trying to impress is that (the government) should not squeeze the service provider. In bigger hospitals, consultation charges are paid on a monthly basis, irrespective of them handling one case or 30 cases. On the other hand, 60 to 70 per cent of medium and small-sized hospitals consulting doctors comes from outside for each and every case. Can you expect these hospitals to pay the consultant doctors like corporate hospitals? There are so many such nuances involved in this (how these small-and-medium-sized hospitals operate). These hospitals will end up paying more than their earnings and that will make them financially unfeasible. Once the NHPS is implemented the demand for healthcare will increase exponentially. Do our hospitals have the infrastructure to handle such a huge increase in the number of people needing treatment for whatever reasons? We (the IMA-affiliated doctors/hospitals) have good coverage even till the last mile across tier I, II, III, IV areas. Our aim is to offer patients the benefits of the Ayushman Bharat scheme at their doorstep. Now consider what if a village level hospital does not get empanelled because of the cost factor then the patient will have to travel 10 to 15 km to another village/town that has a hospital empanelled under the NHPS or travel even further to find such empanelled hospitals. Before the empanelment process starts we wanted to set this thing (the cost of medical packages) right. If we roll out the scheme and if the doctors/hospitals refuse to empanel themselves under the NHPS, then the Ayushman Bharat scheme will be a big flop. The Ayushman Bharat scheme is set to roll out by August 15, but we are not yet sure when the process of empanelment of doctors will start. I think by July mid-week they will start empanelling, but our suggestion to the government is, we agree to everything and we have agreed to even empanel smaller hospitals as per the government-mandated norms, but the package cost must be made comfortable for hospitals for them to spread the benefits of the scheme. What feedback are you getting from smaller and medium-sized hospitals about the government-mandated cost of medical procedures? They are not at all happy with the costs. They are worried about their future. They want the government to do something about these package costs without which they will not be able to survive. As the situation stands today, what is your biggest fear? Our biggest fear is smaller and medium-sized hospitals will vanish if the present package rates are going to be implemented or they are forced to work on the implementation of the scheme. Secondly, we fear that it might lead to corruption. Nobody will work to make losses. Naturally then, if I am asked to do a procedure that costs Rs 40,000 for Rs 20,000, what I (any doctor/hospital) will do is compromise on quality or work around the scheme to make more money on the outside from the patient. Somehow, to remain in the business and survive, this might happen. That will ultimately breed corruption and indirectly the government's name will get spoiled and we are very worried about that. Ayushman Bharat is one of Prime Minister Modi's dream projects. That's what I am saying. The scheme is very good, but the methodology by which the rates have been fixed will not make the service providers happy. The main part is the monetary part and that is not being taken care of. This (implementation of NHPS) is going to cost a big investment for smaller hospitals because you have to have the information technology system in place because everything will be done online. So, that requires the smaller hospitals to get a qualified computer professional round the clock to do this job and get their IT infrastructure ready.